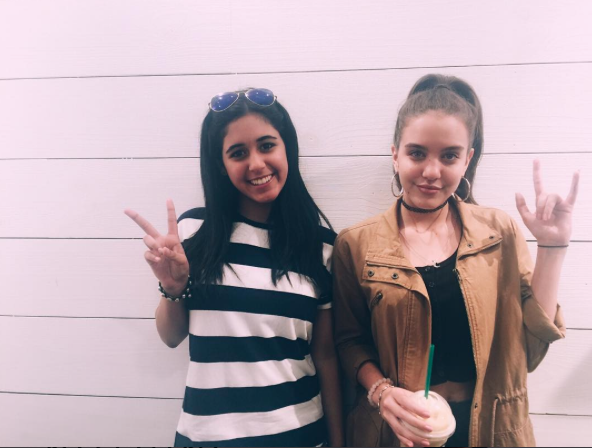 Article: Lilimar And Maria Quezada Had A Fabulous Girls’ Day Out! Check Out Their Amazing Photos Here! Two incredibly talented, dazzling and effervescent Nickelodeon stars had a special and super fun girls’ day out yesterday, January 22, 2016 and we all truly cannot get over how much we love and adore the marvelous Lilimar and the magnificent Maria Quezada! From shopping to jamming out to some amazing throwback songs, the lovely Maria Quezada and the fabulous Lilimar had a wonderful time together and they both looked so incredibly beautiful as always! These outstanding and extraordinary, young ladies continue to be such fantastic role models to all of their fans and it is so great to see that they had such an exceptional time together! Check out more photos below of Lilimar and Maria Quezada having a blast together! Comment below and tell me or tweet me at @alexisjoyvipacc, what is YOUR favorite thing to do when you hang out with your friends? Previous Article: A Big Congratulations Is In Store For Kennedy Slocum! Find Out Her Latest Accomplishment Here! Next Article: Marlee Roberts’ Eye-Opening Film “Little Miss Perfect” Premiered At The Closing Night Of The Irvine International Film Festival – See Pictures From The Premiere Here!